A colorful Decoration of hand made Thai ceramic floor with private garden terrace. 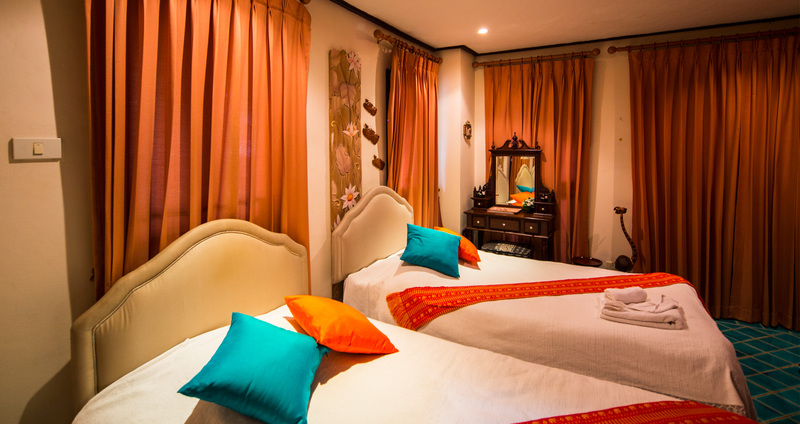 The sweet atmosphere with turquois and orange color theme. 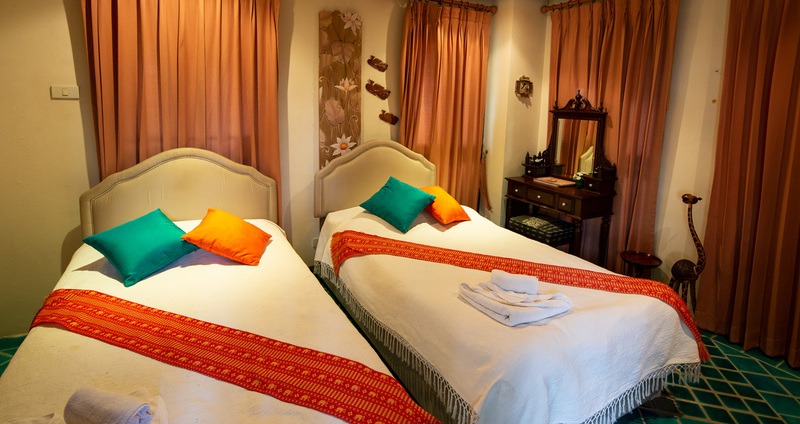 There is a small private garden for this room where the guests can relax and spend time reading among the greenery garden, while enjoy the river view.